In fiber optic industry we offer the best value on tool kits. Every year RT expands upon its tool kit line and upgrades several tools to show our commitment to providing quality kits. 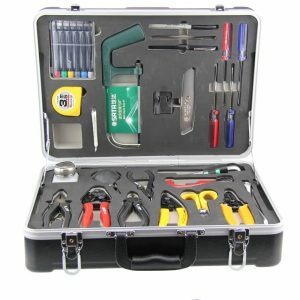 Our Tool Kit provides a technician with materials to prep and connect standard fiber optic connectors such as ST, SC and FC. Contact us for more info .